Previous treadmill exercise studies showing neuroprotective effects have raised questions as to whether exercise or the stress related to it may be key etiologic factors. In this study, we examined different exercise regimens (forced and voluntary exercise) and compared them with the effect of stress-only on stroke protection. Adult male Sprague-Dawley rats (n = 65) were randomly assigned to treatment groups for 3 weeks. These groups included control, treadmill exercise, voluntary running wheel exercise, restraint, and electric shock. Levels of the stress hormone, corticosterone, were measured in the different groups using ELISA. Animals from each group were then subjected to stroke induced by a 2-h middle cerebral artery (MCA) occlusion followed by 48-h reperfusion. Infarct volume was determined in each group, while changes in gene expression of stress-induced heat shock proteins (Hsp) 27 and 70 were compared using real-time PCR between voluntary and treadmill exercise groups. The level of corticosterone was significantly higher in both stress (P < 0.05) and treadmill exercise (P < 0.05) groups, but not in the voluntary exercise group. Infarct volume was significantly reduced (P < 0.01) following stroke in rats exercised on a treadmill. However, the amelioration of damage was not duplicated in voluntary exercise, even though running distance in the voluntary exercise group was significantly (P < 0.01) longer than that of the forced exercise group (4,828 vs. 900 m). Furthermore, rats in the electric shock group displayed a significantly increased (P < 0.01) infarct volume. Expression of both Hsp 27 and Hsp 70 mRNA was significantly increased (P < 0.01) in the treadmill exercise group as compared with that in the voluntary exercise group. These results suggest that exercise with a stressful component, rather than either voluntary exercise or stress alone, is better able to reduce infarct volume. This exercise-induced neuroprotection may be attributable to up-regulation of stress-induced heat shock proteins 27 and 70. As one of the current leading causes of death and injury, stroke commands a great deal of attention from the medical research world. Much effort has been focused on identifying therapies which may decrease the severity of injury suffered in stroke or preventative measures which may decrease the occurrence of these devastating incidences. Expanding literature substantiates the beneficial effects of exercise on stroke-induced brain injury in animal models [1, 10, 12, 17, 41, 42, 45]. In previous studies, a marked improvement in survival and a corresponding decrease in infarct volume were observed in transient forebrain ischemia after physical activity on a treadmill for 2–4 weeks in gerbils , rats , and mice . However, these previous studies employed a treadmill exercise regimen and thus raised questions as to whether the stress involved in the forced procedure itself might play some role in the results. In the current study, preconditioning treatments, which consist of stress alone, were added in order to further elucidate the neuroprotective effects of stress versus exercise. By comparing these results with data from treadmill exercise regimens, we can identify possible effects of stress, whether protective or damaging, on the extent of brain injury which is present after a transient ischemic attack. We also investigate whether the neuroprotection seen with forced exercise on a treadmill could be replicated with a preconditioning regimen of voluntary exercise. In addition to identifying any variations in brain infarct area after stroke among different exercise and stress preconditioning regimens, this study aimed to further elucidate the mechanism of neuroprotection at the molecular level. Previous research has shown that heat shock proteins (Hsp) are highly conserved proteins found in the brain which act as molecular chaperones with neuroprotective activities under physiological conditions [19, 22]. More specifically, two heat shock proteins in particular, the 70 kDa Hsp (Hsp 70) and the 27 kDa Hsp (Hsp 27), display changes in expression in response to various types of stress, including heat, shock, ischemia, oxidative stress, glucose deprivation, and exposure to toxins and heavy metals . In the central nervous system, inducible expression of both Hsp 70 and Hsp 27 is observed in many areas of the brain and is associated with cellular resistance to a variety of insults. The present study was conducted to determine whether expression levels of Hsp 70 and Hsp 27 are associated with exercise-induced neuroprotection. Adult male Sprague-Dawley rats (n = 65) were subjected to one of four treatment protocols each day for 3 weeks: (1) forced treadmill exercise (n = 10 for histology analysis, n = 6 for mRNA expression analysis); (2) voluntary exercise (n = 10 for histology analysis, n = 6 for mRNA expression analysis); (3) stress via electric shock (n = 10 for histology analysis); and (4) stress via physical restraint (n = 10 for histology analysis); or a control group (n = 7 for histology analysis, n = 6 for mRNA expression analysis) which underwent no treatment during these 3 weeks. Animals were randomly assigned to each group. Animals in the forced exercise group were run on a four-lane treadmill (AccuPacer, AccuScan Instruments, Inc., Columbus, OH) at a speed of 30 m/min for 30 min each day, 5 days/week . The treadmill has an endless conveyor-type belt, driven by a DC servomotor with optical encoder for precise speed control. The animals are separated from each other by opaque partitions. The motor drive electronics permits the user to select any speed from 0 up to 100 m per min. A shock grid is built into each channel, which can be used to stimulate animals to run. In addition, the front of the treadmill is made of dark acrylic so that the animals can run towards the darkened section of the channel. Thus, the animals are provided with both negative and positive stimuli resulting in continuous running. Animals in the voluntary exercise group were housed individually in a cage with a running wheel assembly (Respironics) connected to a switch that counted each revolution of the wheel and were recorded daily for 3 weeks. Animals in the electric shock group were confined to the small electrically charged grid which was used to force animals to run continuously on the treadmill. Animals received 15 stimulations (<2.0 mA) over a 30 min time period, which was comparable to that sustained by the rats which ran on the treadmill. Animals in the restraint group (control stress) were placed individually in a tail access rodent restrainer (Stoelting) for a 120 min period. This action was performed at normal room temperature, in a normal light setting, and with normal room noise. All animals were weighed daily. Blood samples were obtained from each animal prior to stroke. The samples were allowed to clot and were then centrifuged for 30 min at 1,000g to separate out the serum. Corticosterone was detected using a Corticosterone ELISA kit (IB79112, IBL America, and MN) following the manufacturer’s instructions. The absorbance was read at 450 nm. Animals were anesthetized and maintained with 1–3% halothane in 70% N2O and 30% O2 with a facemask. Rectal temperature was maintained throughout the procedure at 37°C with a circulating heating pad. Middle cerebral artery (MCA) occlusion was induced with an intraluminal filament model as described by Longa et al. and maintained for 2 h. The reliability and effectiveness of this model to induce stroke was guaranteed by using poly-l-lysine-coated intraluminal sutures, which yield consistently large infarcts and greatly reduce interanimal variability . Animals for histological analysis were sacrificed 48 h after surgery by cardiac perfusion of saline followed by 4% paraformaldehyde in 0.1 M phosphate buffer (PB), pH 7.4. Frozen coronal brain sections were cut on a cryostat from 2.0 mm to −4.0 mm bregma at a thickness of 10 μm. Nissl staining was performed on cryostat sections to determine infarct volume. In order to minimize the error introduced by edema, an indirect method for calculating infarct volume was used [11, 13, 44]. The non-infarcted region in the ipsilateral hemisphere was subtracted from the contralateral hemisphere. The infarct volume was presented as a percentage of the volume of the contralateral hemisphere. Total RNA was isolated from cortex and striatum of control, treadmill exercise, and volunteer exercise groups (n = 6) by using STAT-60 Reagent (Tel-Test Co., TX, USA) according to the manufacturer’s protocol. The samples were purified using the RNeasy kit (RNeasy Mini Kit, Qiagen, MD, USA) and DNase Treatment and Removal Kit (Ambion, CA, USA). Random primers were used to create first-strand DNA synthesis using iScript cDNA synthesis kit (Bio-Rad, CA, USA). The cDNA was then amplified by real-time PCR with SYBR Green PCR Master Mix (Applied Biosystems, CA, USA) using an ABI Prism 7900HT sequencing detection system as previously described . Hsp 70 specific primers (forward 5′-GAT CAC CAT CAC CAA CGA C-3′ and reverse primer 5′-ACT TGT CCA GCA CCT TCT TC-3′) and Hsp 27 specific primers (forward 5′-TGC TTC ACC CGG AAA TAC AC-3′ and reverse primer 5′-CTC GAA AGT AAC CGG AAT GG -3′) were used. As an internal PCR control, the rat ribosomal protein L32 (rpL32) was used for each sample (forward: 5′-TGT CCT CTA AGA ACC GAA AAG CC-3′ and reverse: 5′-CGT TGG GAT TGG TGA CTC TGA-3′). Relative mRNA levels of gene expression were determined using the threshold cycle (C T) and arithmetic formulas. Subtracting the C T of the housekeeping gene from the C T of the target gene yielded the ΔC T in each group (control and experimental groups). By entering this value into the equation 2−ΔCT , we were able to calculate the exponential amplification of PCR. The mean amount of gene expression from the control group was arbitrarily assigned as 1 to serve as reference. The expression of the target gene from experimental groups, therefore, represents the fold-difference expression relative to the reference gene. All the data was described as mean ± SE. Statistical analysis was performed with SPSS for Windows, version 15.0 (SPSS, Inc.). The significance of differences among multiple groups was assessed using analysis of variance (ANOVA). Post-hoc comparison between groups was detected for significance using LSD method. Differences from each group were statistically compared at a significance level of P < 0.05. In order to determine any effect which the stress involved in forced exercise regimens may have on inducing neuroprotection, we first compared serum corticosterone levels in different groups in order to identify any increase in stress compared to controls (Fig. 1). One way ANOVA analysis indicated a significant (F (3, 16) = 5.68, P < 0.01) difference among the groups. Post-hoc analysis further indicated that both the treadmill exercise group and the electric shock group showed significantly (P < 0.05) increased corticosterone levels versus controls, and that the voluntary exercise group showed no significant difference from controls. In all groups, infarct volume was visualized with Nissl staining (Fig. 2a) following a 2-h MCA occlusion and 48-h reperfusion. The infarct region, defined as the area with reduced staining or containing dark pyknotic necrotic cell bodies, was determined from serially cut sections through the MCA territory in the frontoparietal sensorimotor cortex and dorsolateral portion of the striatum. Our data demonstrated that forced exercise on a treadmill induces a significant decrease (P < 0.05) in brain infarct volume (9.9 ± 3.6% of the volume of the contralateral hemisphere) as compared to non-exercise controls (48.5 ± 2.5% of the volume of the contralateral hemisphere) (Fig. 2b). In fact, the volume of brain infarct seen after exercise on a treadmill is reduced by approximately 79% in comparison with controls. In contrast, we found no significant decrease in infarct volume in the voluntary exercise group as compared to the control group. In order to determine any effect that the stress involved in forced exercise regimens may have on inducing neuroprotection, we also evaluated infarct volume in ischemic rats exposed to stress, either in the form of physical restraint or electric shock. The data showed no significant difference (P > 0.05) in brain infarct volume between the restraint and control groups. Interestingly, exposure to the same electric shock, which was used to stimulate rats to run on the treadmill, caused a significant increase (P < 0.05) in brain infarct volume. These results suggest that stress alone did not induce neuroprotection, but rather enhanced the amount of brain damage produced during stroke. We monitored the running distances of rats in both the voluntary and forced exercise groups in order to identify any correlation between total distance covered and brain infarct area. The distance traveled by animals in the voluntary exercise regimen was calculated and compared with known distances covered in the treadmill exercise in Fig. 3. Although, the daily average running distance of individual voluntary exercise group members (4,828 m) was significantly longer than that of the forced exercise group members (900 m), voluntary exercise did not induce neuroprotection as compared to the control group. Furthermore, there was no correlation between the distance run and the infarct volume within the voluntary exercise group. This data indicates that increased total running distance does not correlate with increased neuroprotection and suggests that the stress of forcing rats to run plays a role in producing the neuroprotection which is seen with treadmill exercise. In order to determine the neuroprotective mechanisms underlying treadmill exercise, expression of Hsp 70 and Hsp 27 mRNA was examined in control, treadmill exercise, and volunteer exercise groups (Fig. 4a, b). A significant increase in the Hsp 70 mRNA level after 3 weeks of exercise in the treadmill group was demonstrated by one way ANOVA at 5.5 ± 0.7 folds (F (2,15) = 3.9, P < 0.05). In contrast, Hsp 70 gene expression was only slightly increased after 3 weeks of volunteer exercise and did not reach significant levels. One-way ANOVA analysis indicated a significant (F (2, 15) = 3.8, P < 0.05) increase in Hsp 27 mRNA expression after 3 weeks of treadmill exercise by 317 ± 73%. Similar to Hsp 70 gene expression, the increase in Hsp 27 mRNA expression (156 ± 10%) after 3 weeks of voluntary exercise did not reach a significant level. Exercise has previously been shown to reduce ischemia and reperfusion injury in rat stroke models as evidenced by a reduction in brain infarct volume. In accordance with previous research showing that exercise has a neuroprotective effect, our results demonstrate that exercise on a treadmill forced by electric stimulation decreases the amount of damage after ischemic stroke. In response to questions whether stress played a role in this neuroprotection, our results clearly show that stress alone does not decrease the brain infarct area after ischemic injury in a 3-week preconditioning model. Furthermore, we observed an increase in infarct volume in rats under a stressful electric shock regimen that was also used to stimulate the treadmill-exercised animals to run. This indicates that different levels or types of stress endured may actually lead to an increase in the resultant damage to the brain after an ischemic attack. Expression of glutamate and related receptors may play a role. Previous studies have demonstrated that CNS disorders, including stress and depression, in both animal and human models are attributable to the expression of glutamate and glutamatergic NMDA receptors, NR2B-selective antagonists, non-NMDA ionotropic glutamate receptors, N-acetylaspartylglutamate, glutamate and glycine transporters . Another study further demonstrated that emotional stress exacerbates stroke outcome by suppressing anti-apoptotic protein, Bcl-2 expression in a mouse model . 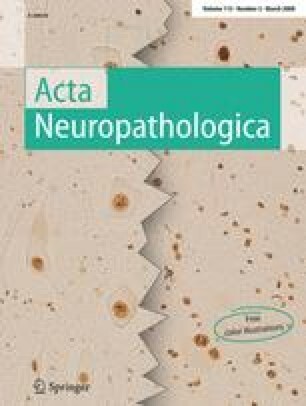 Increased Bcl-2 expression promotes cell survival and protects against apoptosis and cellular necrosis in numerous neurodegenerative disorders . Several clinical and animal studies have provided evidence that peri-ischemic concentrations of glucocorticoid hormones, i.e., cortisol in humans and corticosterone in rats, are increased during stressful events and exacerbate stroke outcome. High cortisol levels are associated with increased morbidity and mortality [18, 32, 34]. In rats, an increase in blood corticosterone concentrations during or after cerebral ischemia was associated with an increase in infarct volume . It has been proposed that rather than killing neurons directly, exposure to high concentrations of corticosteroids typically induces a physiological state that renders neurons more susceptible to subsequent neurologic insults . The finding that our shock treatment, which isolated stress alone and involved increased corticosterone levels, was not neuroprotective supported these proposed detrimental effects of elevated corticosterone. However, our finding that treadmill exercise, a treatment which also involves increased corticosterone levels, significantly reduces brain damage following stroke calls this assumption into question. It follows that forced exercise with a stressful component is neuroprotective while stress alone is not. Further studies are needed to fully explain this relationship between stress and brain damage in our stroke model. In addition, we have found that two separate exercise regimens, forced treadmill exercise involving both movement and stress, and voluntary running wheel exercise involving movement alone produce very different results. A similar treatment period but much longer running distance in the voluntary exercise regimen does not provide significant neuroprotection in this stroke model as compared with forced exercise. This indicates that some aspect of treadmill exercise itself may be responsible for the reduction in brain infarct area, but more research is needed to further elucidate the mechanism of neuroprotection provided by forced exercise. In contrast with our findings, previous studies in a mouse model demonstrated no difference in the neuroprotection provided by voluntary exercise on a running wheel versus forced exercise on a treadmill (4,000 m vs. 360 m per day, respectively) . In fact, both types of exercise regimens led to an increase in regional cerebral blood flow, a reduction in cerebral infarct size and brain swelling, and diminished neurological deficits in mice . However, this discrepancy between rats and mice may be due to different intensities of running between small mice (20–25 g body weight and 5–6 cm body length for 4,000 m) and large rats (250–300 g body weight and 15–20 cm length for the same distance). This size difference causes the two species to perform very different amounts of work in traversing a similar distance. Since mice are smaller and thus must expend more energy than rats in running a given distance, it follows that these two animals may produce different results in response to exercise preconditioning in a stroke model. In order to further elucidate the mechanism by which treadmill exercise rather than running wheel exercise induces neuroprotection, heat shock proteins Hsp 70 and Hsp 27 were investigated. These proteins can be induced in response to various types of stress, including heat, shock, ischemia, oxidative stress, glucose deprivation, and exposure to toxins and heavy metals . Over-expression of inducible Hsp 70 has been shown to provide protection from cerebral ischemia both in animal stroke models and in cell culture hypoxia models . As a molecular chaperone expressed constitutively, induced Hsp 70 facilitates optimal folding of nascent and denatured proteins during normal as well as stressful circumstances . Hsp 70 regulates apoptotic cell death by interfering with apoptosis inducing factor (AIF), as well as increasing levels of anti-apoptotic proteins, such as the Bcl-2 family. Hsp 70 induction has been identified in cells that survive cerebral ischemia, as well as in cells that survive after preconditioning with heat . A number of studies have shown that ischemic preconditioning produces Hsp 70 in neurons [6, 7, 26, 29] and in vasculature , leading to neuroprotection [7, 23, 29]. Furthermore, physical exercise was reported to induce Hsp 70 expression [21, 27, 40] in association with cardioprotection against ischemia/reperfusion injury [21, 27]. Although, the majority of studies on the protective effect of individual Hsps have concentrated on the major inducible heat shock protein Hsp 70, a variety of evidence suggests that the small heat shock protein, Hsp 27, may have a more potent protective effect in the nervous system . In cultured neurons, over-expression of Hsp 70 can protect against subsequent exposure to thermal or ischemic stress but not against exposure to other stressful stimuli, while over-expression of Hsp 27 protects against a variety of stresses. Similarly, although transgenic animals over-expressing Hsp 70 are protected against cardiac ischemia, more equivocal results have been obtained in terms of their protection against cerebral ischemia and other stresses to the nervous system. In contrast, transgenic animals over-expressing Hsp 27 were shown to possess neuroprotection. Hsp 27 expression was also reported to have a neuroprotective role in dorsal root ganglia and was associated with the Akt signaling pathway . A number of studies have investigated the relationships between Hsp 27 and Akt, also known as PKB, and reported that Akt forms a complex with Hsp 27 [24, 30, 31, 36]. By linking with Hsp 27, the activation of Akt after stress or insult can promote survival via a series of signal transduction events that act to inhibit apoptosis, such as phosphorylation and inactivation of Bad . It has also been shown that Hsp 27 itself displays anti-apoptotic ability by inhibiting caspases and cytochrome c release [5, 19, 37]. Therefore, increased levels of Hsp 70 and Hsp 27 after forced exercise, as compared to voluntary exercise, could play a pivotal role in inducing neuroprotection. Although the present study has shown that heat shock protein expression was associated with infarct reduction, the cause-and-effect relationship will be determined in our future study by selectively blocking Hsp expression and showing that the effect of infarct volume is also blocked. In order to maintain our focus on the neuroprotective effects of forced exercise versus voluntary exercise, Hsp 27 and Hsp 70 expressions were measured in both exercise groups, but not in the restraint and electric shock groups. The stress models were designed to eliminate the stress component from the treadmill exercise group. The electric shock group was specifically designed to eliminate the stress variable in the treadmill group and the restraint group was designed as a stress control. In addition, as previous studies [4, 14, 15] suggested, exercise-induced neuroprotection may involve multiple pathways; the key role of Hsp expression as well as its interactions with other molecular pathway will be further investigated in our future study. Taken together, the results in the present study suggest that exercise with a stressful component, rather than either voluntary exercise or stress alone, is better able to induce neuroprotection and reduce brain infarct volume after stroke. Although, further studies are needed to confirm protein expression and functional sites, our study suggests that this exercise-induced neuroprotection is attributable to up-regulation of stress-induced heat shock proteins 27 and 70. We are grateful to Dr. Qin Lai for his help in the statistical analysis and to Mr. Yandong Zhou for his help in preparation of the manuscript. This work was supported partially by an American Heart Association Midwest Affiliate Grant in Aid and UTHSCSA Neurosurgery Research Fund to Yuchuan Ding.